You know when you don’t intentionally do something but then it works out perfectly? 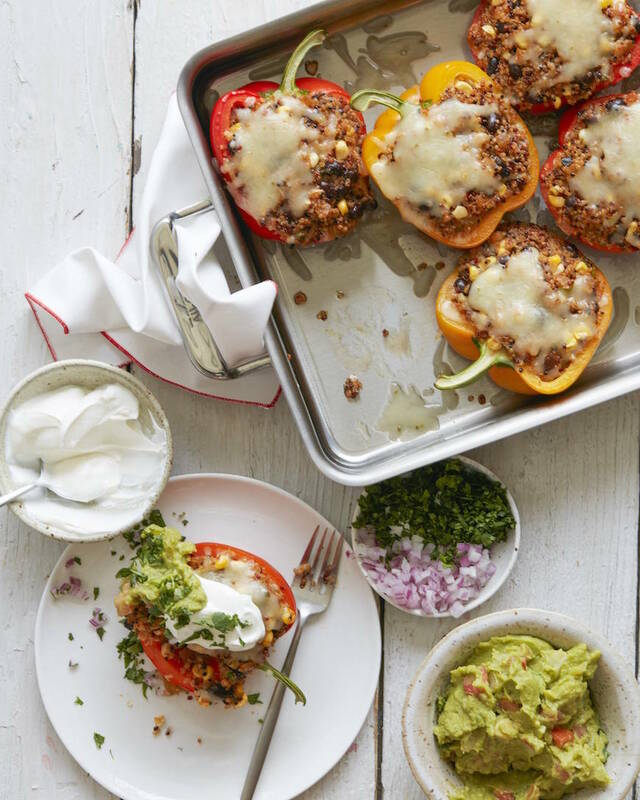 That’s exactly what happened with these Quinoa Stuffed Peppers because Meatless Monday!! Duh! Post Peru trip I’ve OBSESSING over these ricotto relleno peppers that we had at the Inkaterra property in Cusco and I haven’t been able to get them out of my mind. So I’ve since made a few alterations to make them easier, because hi have you met me!, and now they are coming your way! There’s a quinoa risotto type situation on the inside along with some corn and black beans, cheese on top because why not, and some guacamole on the side to round out the meal. It’s perfection! Preheat oven to 375 degrees F and lightly grease a 9x13 baking dish or rimmed baking sheet. 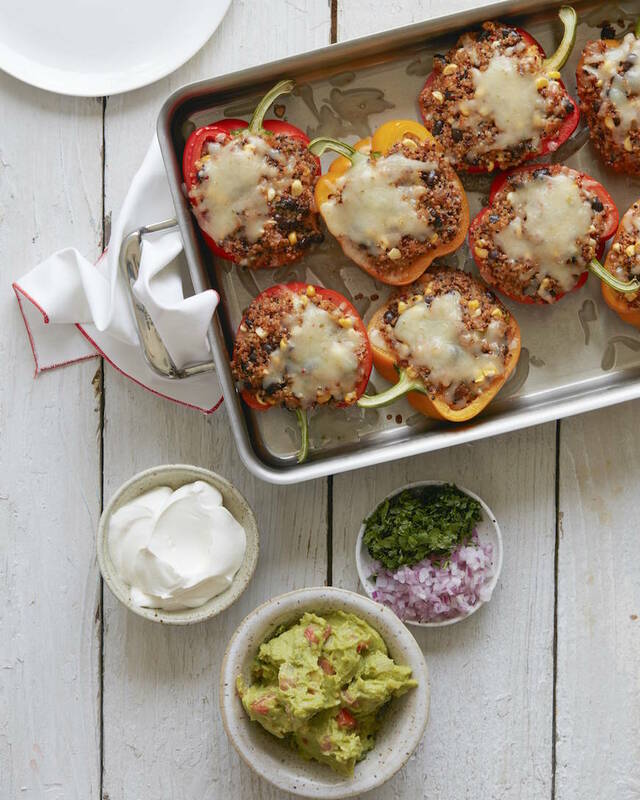 Brush the halved peppers with vegetable oil and place them cut side up on the baking sheet. Heat the olive in a medium skillet over high heat. Add the onion and sauté for 5 minutes. Add the cumin, chili powder and garlic powder and stir to combine. Continue to cook for 1 minute and then remove from the heat. Add the spiced onion mixture to the quinoa. Stir in the black beans, cheese, salsa, green onions and corn kernels. Stir to combine and season with salt and pepper as needed. Add more salsa if you want more smokiness. 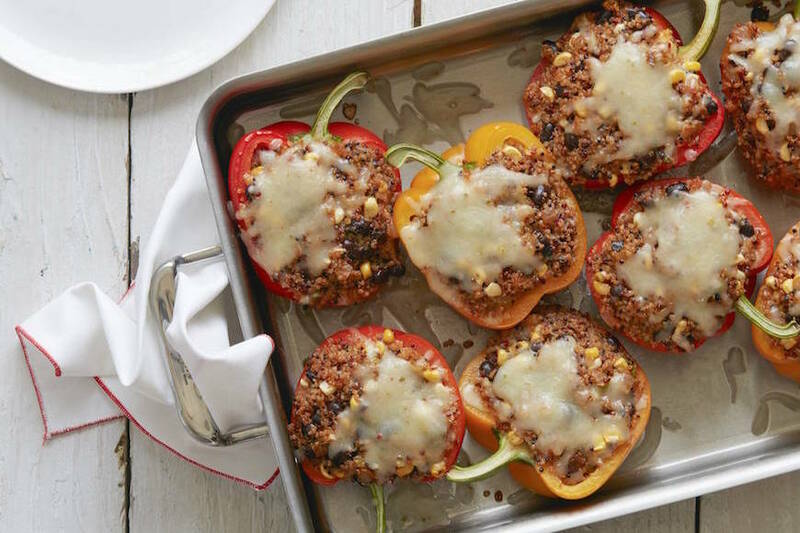 Bake for 30 minutes covered, then remove foil, sprinkle a little extra cheese on top, increase heat to 400 degrees F, and bake for another 15-20 minutes, or until peppers are soft and slightly golden brown. Garnish with assorted toppings listed above. Love the look of these!! I’d be obsessing over them too! These look incredible! I’m all about a slightly healthier version of comfort food that doesn’t sacrifice great flavors. Can’t wait to make these. delicious and healthy! I love these! These are so in my wheelhouse! Done! 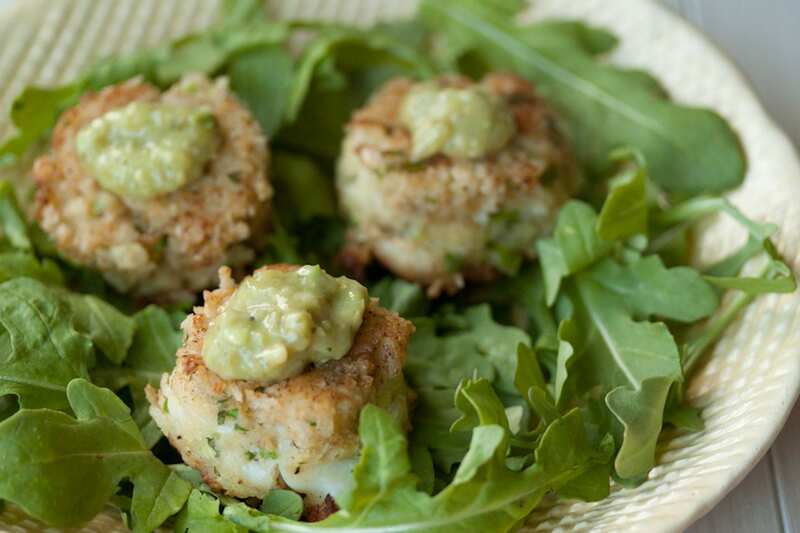 These sound like a perfect healthy dinner! 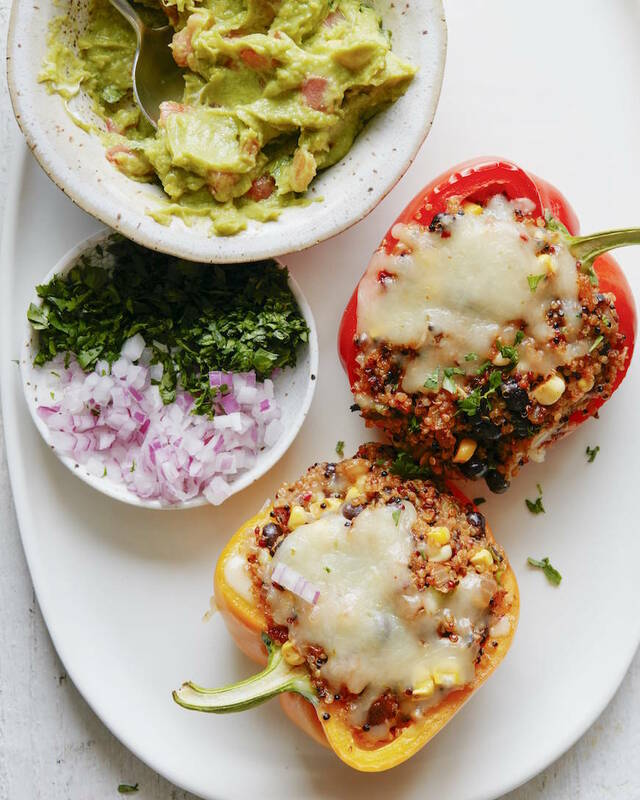 I love bell peppers and quinoa, so I can’t wait to give this recipe a try! What would be a good side dish with these? A salad, roasted broccoli/broccolini, asparagus, any kind of veggie! Just made these tonight, and they were a big hit! Can’t wait to have the leftovers tomorrow for lunch. Thanks, Gaby! 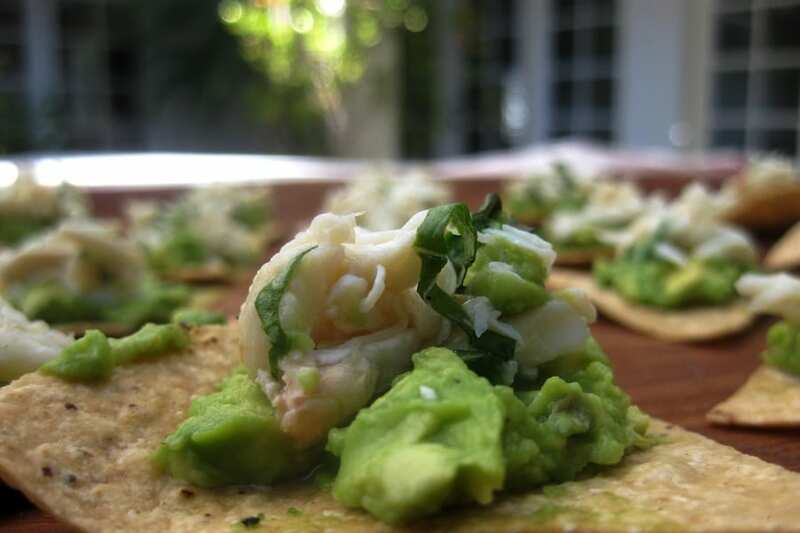 Could you assemble these and freeze them for later? don’t add the cheese until you’re ready to bake – but otherwise I think that would work! Hey Gaby! Do you usually cook your quinoa with water or broth? I made these recently and they were delicious! I actually added ground turkey to the recipe, which practically doubled the recipe. I froze the leftovers and have been eating it slowly on top of mixed greens, with a dash of hot sauce. It is SO GOOD! Love your recipes! I made these for my family that was coming to visit and holy wow these are amazing. I just got ingredients to make them again! Could you also heat up just the quinoa mixture and eat it by itself? hi Gaby – should I use your chiplote salsa recipe or is there one you use off the shelf as well? Thanks! Do you cook the corn before adding it to the mix? 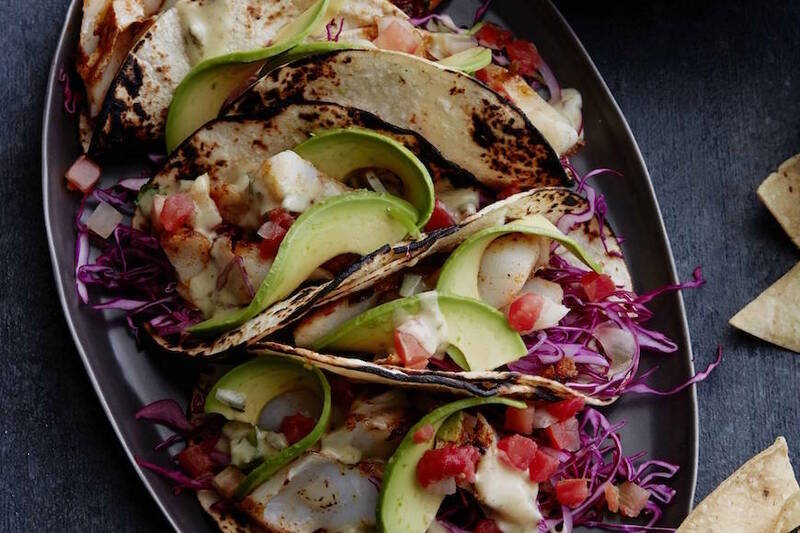 These recipes look amazing and delicious!